It’s one thing to drive under the influence of alcohol or drugs. Don’t do it. What’s substantially worse, however, is driving under the influence when you have children as passengers. A tragic story out of Florida recently made national news when one of nine unrestrained children died because the woman driving them was allegedly intoxicated. And as bad as it is to drive while intoxicated with children aboard, a woman in Kansas has gone even one step beyond that. 31-year-old Mary Elizabeth Womack was arrested for a fifth DWI in February. It’s the fourth time she’s been arrested for DUI with children in her car. When Mary Elizabeth Womack was stopped in February, she had two children in the car with her. Along with DWI, she is also charged with battery and two counts of endangering a child. If you’re charged with DWI for any reason in Orange County, contact an experienced Orange County DUI defense lawyer immediately. Most DUI suspects are regular people who haven’t hurt anyone; they’re either wrongly accused, or they made a bad judgment – like anyone can – and found themselves in the wrong place at the wrong time. But if it’s your fifth DUI, or if you routinely drive drunk and take children with you, you may need medical help for an alcohol dependency. Vast resources are available in Orange County – regardless of your income level – to help persons overcome substance abuse difficulties. Don’t endanger yourself, innocent strangers, or your own children. Call an Orange County DWI defense lawyer for legal help if you’re charged with DUI, but if you need psychological or medical treatment for addiction, seek help today. A Kansas woman was recently arrested on suspicion of driving under the influence for the fifth time. Unfortunately, fifth- time DUIs are not uncommon. However, what makes this arrest unusual is that, for 31-year-old Mary Elizabeth Womack, it was the fourth time that she was arrested for driving under the influence with children in her car. The most recent arrest occurred on Saturday, February 21st. When Womack was stopped, she had two children in the car with her. What’s more, she also had an ignition interlock device installed in her vehicle. Womack’s previous DUI convictions in which children were found in her car occurred in February 5th, 2003, July 20th, 2009, and February 15th, 2010. However, the child endangerment charges were dismissed in these cases as part of her plea deals. Womack’s only DWI conviction in which she didn’t have a child in the car occurred on October 17th, 2004. In the current case Womack has been charged with DWI, obstruction of the legal process, two counts of endangering a child, driving without an interlock device, and battery. Had Womack’s arrest been here in California, she’d be looking at an additional 90 days in jail under California’s DWI child endangerment enhancements. In California, if you have children under the age of 14 in the car at the time you are caught driving under the influence, the prosecution can also charge you with a violation of California Vehicle Code section 23572; California DWI child endangerment. 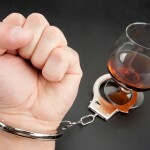 The penalties under this section are in addition to any penalties associated with the California DUI. A first time DUI conviction where a minor under the age of 14 is in the car will bring an additional 48 hours in a county jail. A second time DWI conviction will bring an additional 10 days in jail. A third time will bring an additional 30 days in jail. A fourth will bring an additional 90 days. Furthermore, these penalties are to be served consecutively, not concurrently with the underlying DUI penalties.